Gang Up! 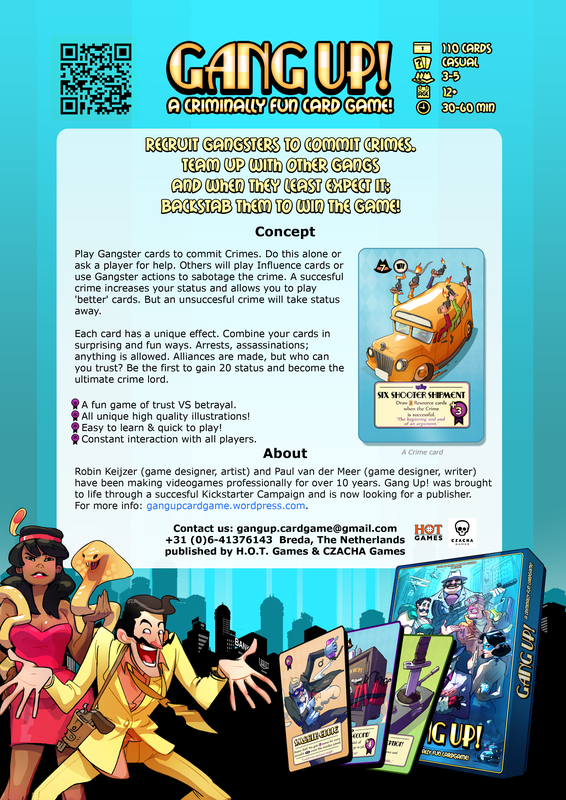 is casual card game where you compete to become the ultimate crime lord! 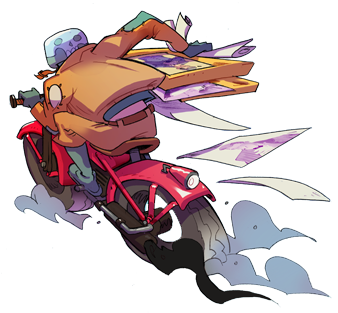 Recruit legendary gang members and commit crazy daring crimes. Use criminal influences and team up with other players to get ahead. And when they least expect it, back-stab them to win the game! Watch the movie for a first impression! What’s good about Gang Up! ? Loads of unique & memorable illustrations! It’s easy to learn & quick to play! No boring moments, there is constant interaction between players! Lots of comeback chances for players who fall behind! Try your local gamestore or here, at one of the online webshops! If they don’t sell Gang Up! yet, you could ask them to order some copies from HOT Games (English/Dutch) or from Czacha Games (Polish). The Gang Up! 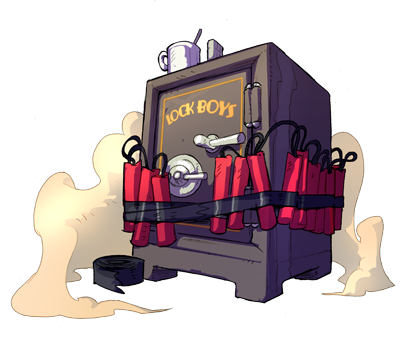 ‘Kickstarter edition’ is officially sold out. 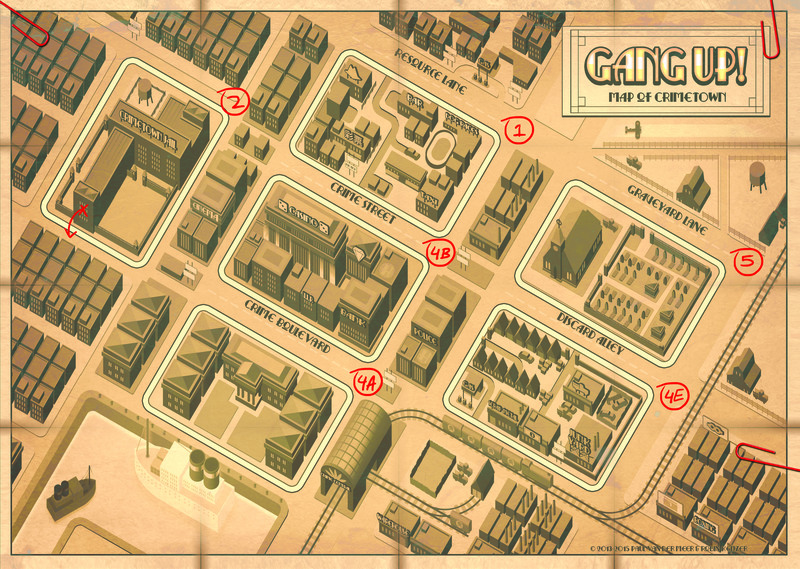 You can also download the Map of Crimetown (the game-board) for free! For the correct size, print it to A3 paper. We have two versions, brown and blue. 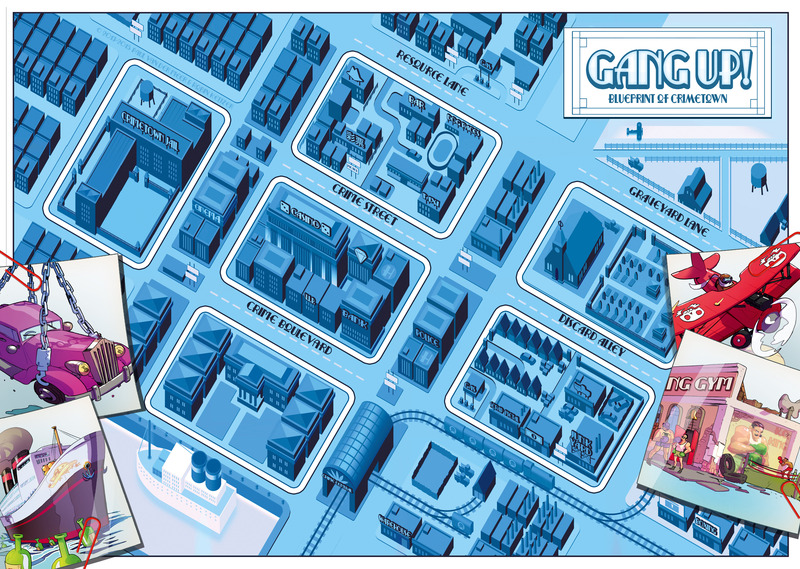 Also separately available at conventions: The art-book of Gang Up! (incl. gangster origin stories), the printed game board & original game-art. Are you unsure how to play a card or apply a rule? Read the FAQ & find your answer below! We are also hosting tournaments! Please contact us to discuss collaboration options! We are still looking for more distributors worldwide. Please contact us to discuss collaboration options! Do you want to help us out? That’s great, please contact us! 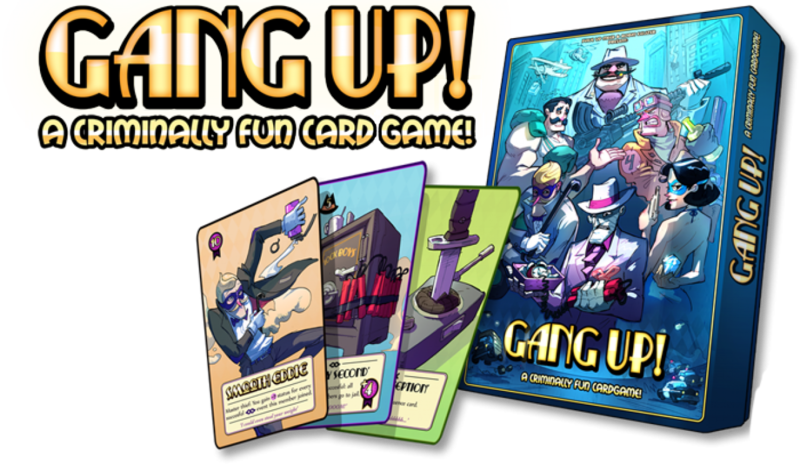 We give a way free copies of Gang Up! to: game reviewers, translators, distributors & publishers. 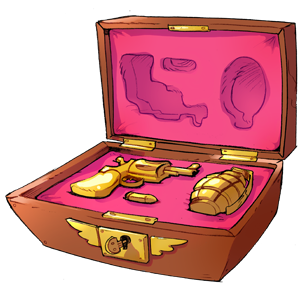 Do you need some images for your game review? Feel free to download our Media Pack , a 30mb psd file. Or take a look at some The Photos of the actual game. Gang Up! was developed & tested over a period of 2 years and was brought to life through a successful Kickstarter Campaign in January 2015. The game was printed by ‘Cartamundi‘ and shortly after that, about 500 copies were shipped to Kickstarter-backers all over the world. The remainder of that first print run was then sold at conventions and to local gamestores. During 2016 we updated the game & prepared a second print, which has now been published by HOT Games (in English) & Czacha Games (in Polish). Gang Up! 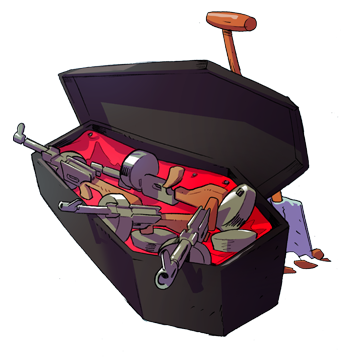 is developed by Robin Keijzer (game designer, artist) and Paul van der Meer (game designer, writer). Both Robin and Paul have over 15 years of experience in developing games, while working for large video-game companies. This game is made in the Netherlands. 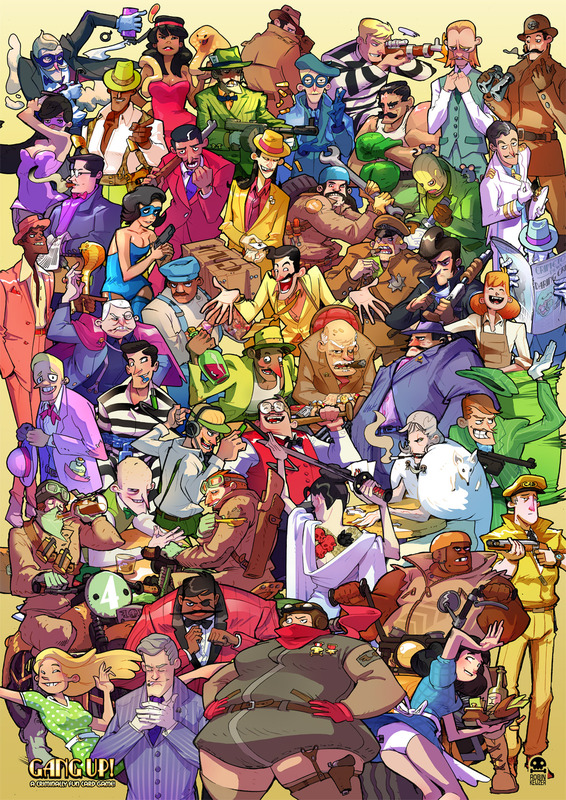 Many people were involved during the creation of this game. Your enthusiasm and feedback is still greatly appreciated! We sincerely thank you all! * Yasmin Sheikh * Rob van der Sloot * Merlyn & Lot Janssen van der Velde * Robert Pieschel * Els de Zeeuw * Jeroen Backx * Rudi * Barry Ricks * Danny van Kessel * Sabrina Kooijmans * Maurits Loonbroek * Ferry Kielman * Gertjan & Ans van der Meer * Roy Retroking * Joel Lim * Ronald & playtesters, Latte’s & Litterature Breda * Jan, Fantast, Kampen * Ruud & colleagues at Cartamundi * Tino, Independant Games Gathering Breda * Amsterdice *Roll the Dice * Zuiderspel *Spellendag Gouda. * Fabio Piovesan * Stéphan * All reviewers!